shoots brah! : "F This S" BMX DVD Premiere - Tell your friends! 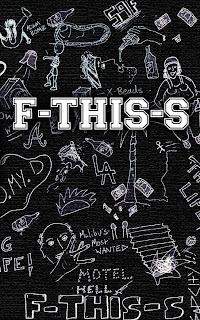 I actually just confirmed Sunday, October 7th at 8:00pm at the Hard Rock Cafe for the premiere of "F This S". Brian Purdy came down to Hawaii with Rob Wise, Allan Cooke, Adam Banton and Anthony Cico to film for this video. Now don't get me wrong, there were more guys and they filmed all over the mainland. I've seen some of the clips and this one's gonna be fun to watch. As per usual, there is no cover at the Hard Rock Cafe. All I can do is ask that you come down and show some patronage. Holla if you have any questions.